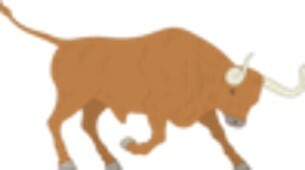 March 9, 2017, was the eighth birthday of the bull market in the US S&P 500. In its lifetime it gained 314.4%, an average annual return of 19.4%. This raises a question as to how much longer it will last. An article posted on MarketWatch.com, “Seven Signs We’re Near a Market Top and What to Do Now” gives some interesting perspective on what to look for to answer that question. 1. Small investors begin pouring money into stock mutual funds out of fear they might miss out on another year of growth. 2. Surveys of professional money managers show a declining number who are anticipating an imminent bear market, while more of them think the bull market will continue for a little longer. 3. The VIX market index, which is a barometer of traders’ expectation of near term volatility (always present with a bear market), signals calm ahead. 4. There are record price/earnings ratios, which means buyers are bidding up the price of stocks faster than earnings are rising. 5. Investors have started to forget the pain of the last bear market and are becoming more complacent and optimistic. 6. The Nasdaq index begins a bull run. 7. Greed begins to outweigh fear, as investors start fearing missing out on further market gains instead of fearing future market losses. Even to a casual observer, many of these signs look evident in the equity markets. I’ve spoken with investors who have been on the sidelines but are thinking it’s time to get into the stock market, given its double-digit returns over the past 12 months along with the Trump rally. This is usually a reliable sign that markets are nearing a top as this new money drives the market to dizzying new highs. When a market top looks inevitable—and we know the market will fall—what should investors do to protect their capital from being eroded away by a bear market? Selling out your stocks and moving the money to cash is always an option, but not a very good one. How do we really know this is the top and that the market won’t continue to go higher? Often the most profitable and exciting part of a bull market is the frothy run-up just before the fall. Even more problematic, if you do get out in time to miss the crash, how will you know when it’s time to get back in? The most common answer I am given by investors to that question is, “When the economy looks good again.” That’s similar to a deer hunter saying he will load his gun when he sees a deer. By the time the economy looks good, the run up in stocks is usually nearing its end. The best course of action is to fasten your seat belt and get ready for some terrifying turbulence. Most bear markets drop quickly and recover quickly. Investors who get out usually do so near the bottom and completely miss the inevitable recovery. All bear markets have ended with a new bull market, although the bottom is not identified as such, but rather seen as a pause before another certain downturn. One more thing. Don’t feel that missing when to get out and when to get back in would make you inadequate. The majority of those who attempt to time the market for a living will miss it, too. That MarketWatch.com article that listed the seven signs of a market top? It advised investors to start edging out of the markets as soon as possible because red flags were everywhere. And it was published in March 2014—three years ago.